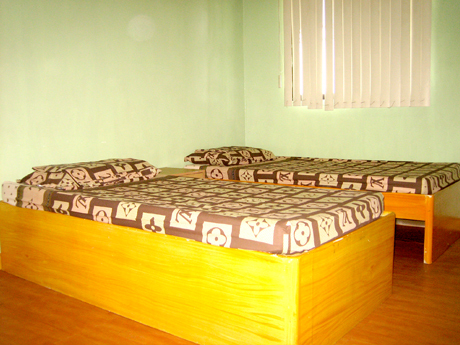 Kalayaan Plaza Apartment is a clean, spacious and comfortable place to stay in Quezon City. 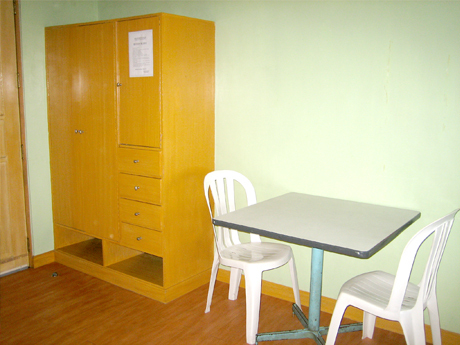 For the convenience of the tenants, all rooms are equipped with a closet, table and chairs. 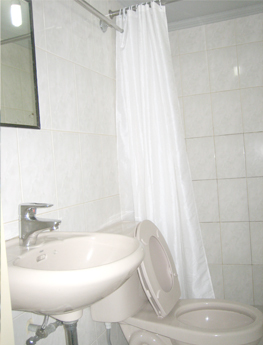 Each room has 2 clean and comfortable beds complete with pillows and linens. 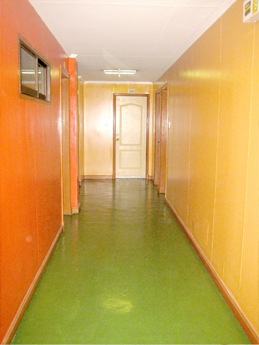 All rooms in Kalayaan Plaza Apartment are air-conditioned and complete with amenities. 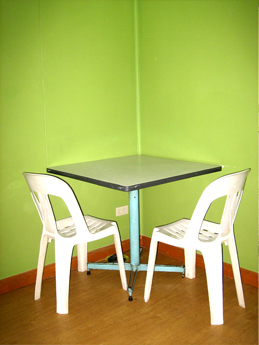 Table and chairs that can be used for various purposes. 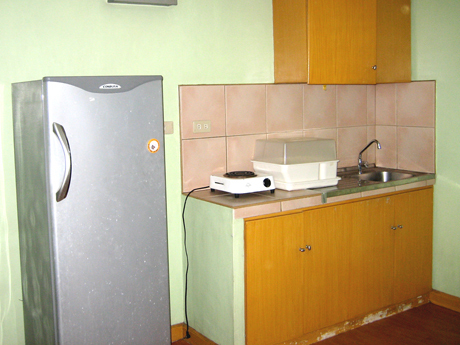 The studio-unit is complete with refrigerator, cupboard, stove and kitchen sink. 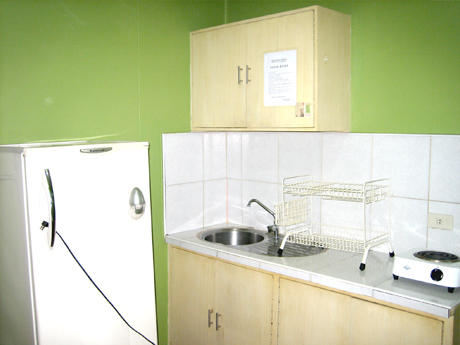 Studio kitchenette provides a small cooking area. 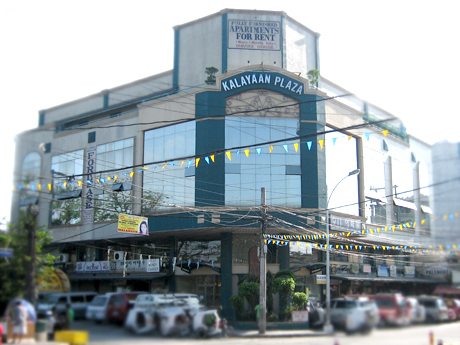 The Kalayaan Plaza Apartment is located at the 2nd and 4th Floors of the Kalayaan Plaza Building. 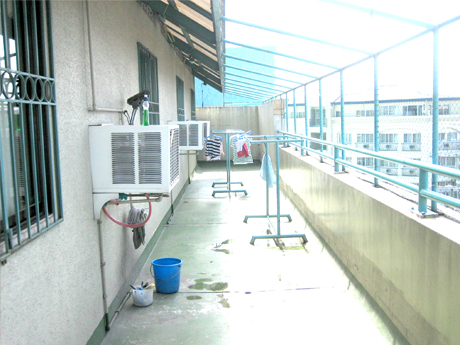 Kalayaan Plaza Apartment provide tenants a place to dry clothes. Also function as fire exit. 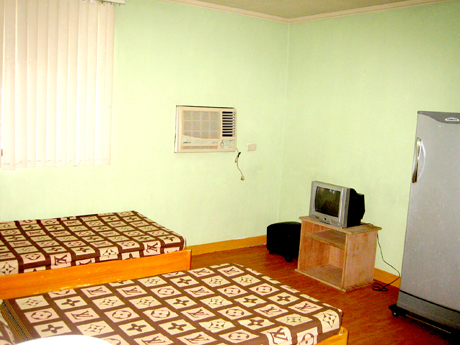 Situated at the heart of Quezon City, Kalayaan Plaza Apartment is ready to serve anyone who is looking for a place to stay that offers complete amenities. 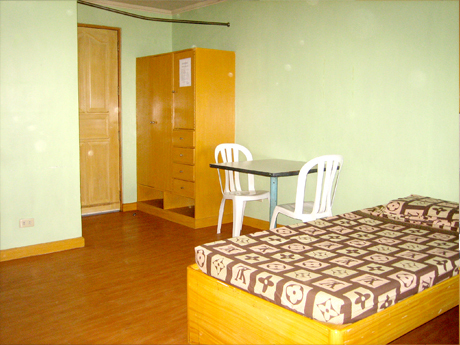 Conveniently located near major establishments such as schools, malls and hospitals, Kalayaan Plaza apartments offers 3 days, weekly and monthly stay for local transients and foreign visitors. The place is open for inquiries everyday, even on Sundays and holidays.